Officials looking into cause of rumblings that shook ground. South Jersey residents insist they felt the ground shake Wednesday, but no weather related issues have been revealed. Officials are trying to determine the cause of some reported rumblings that shook areas of southern New Jersey. 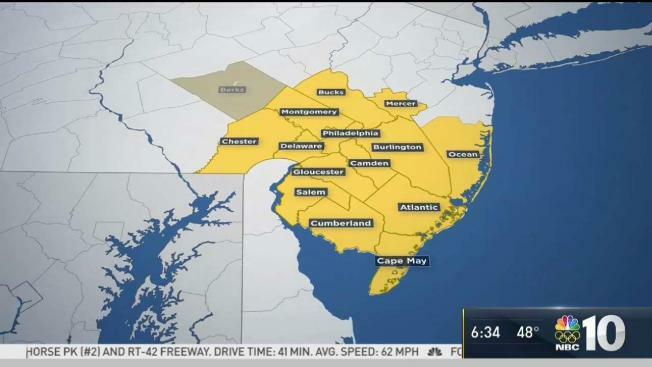 Residents in several counties — including NBC10 viewers in Camden, Williamstown and North Wildwood — reported hearing booms or feeling the ground shake early Wednesday. One viewer in Bucks County even reported feeling something. But the United States Geological Survey didn't report any earthquake activity in New Jersey. And National Weather Service officials say there's "nothing weather-related" that would cause the booms. Around 2:30 p.m. the USGS posted that they are reviewing reports of an off-shore sonic boom but didn't reveal a cause. According to the agency, residents reported the boom as far north as New York City. Officials say sonic booms have been caused in the past by military planes doing supersonic drills along the east coast.